It’s almost a year since Mark E. Smith passed away (writes Andy Wood). Musician, entertainer and blogger, Tommy Mackay had been working on this book since 2006, finally publishing it in late 2018. Although it is a self-published book by a long-term fan, this is a rather lovely looking book with gorgeous artwork by Greg Moodie and a foreword by Aidan Moffat which recalls the time he advised Mark E. Smith after a London show earlier in the evening had been ‘shite’. The result wasn’t the loss of Mr. Moffat’s front teeth but I’d recommend reading to find out what did occur on that evening. 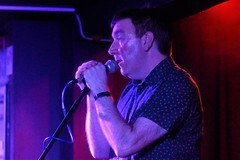 Mackay avoids writing another account of The Fall’s long history – who said what to who and where – and takes an unusual approach by writing about each song ever performed by The Fall in the order that they were first publicly played. As an introduction to a new Fall fan or the uncommitted this means that this book probably isn’t going to be the one for them but for Fall fans it is a thoroughly enjoyable read. Each chapter is a calendar year – from 1977 to 2017 – and opens with a lovely illustration and a short history of what was happening in the wider world that year. 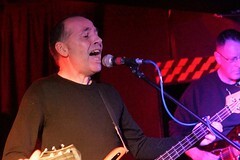 Mackay talks briefly and knowledgably about each song and provides details of where the song was first performed and contrasts different versions. 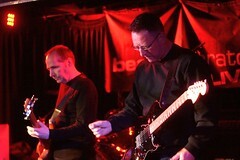 As well as being a knowledgeable writer, Mackay is also a huge fan who first saw The Fall in 1977 in Birmingham and witnessed their last gig in Glasgow some 40 years later. His love of the band and enthusiasm is hugely apparent but that doesn’t stop him being critical at points when he feels The Fall are treading water. 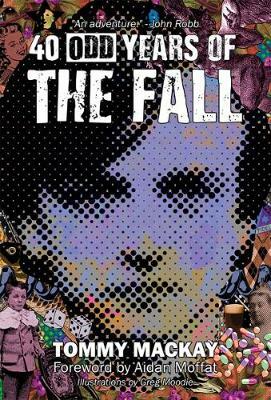 40 Odd Years Of The Fall isn’t necessarily a book that you have to read from cover to cover but can also dip in and out of. I class myself as a massive fan of The Fall but learned some new stuff and also enjoyed the personal stuff Mackay discusses in his introduction and the main text. It’s the story of an immensely complicated band and individual but also of the joys and perils of being a fan of such a band and individual over a long career. I thoroughly recommend this book to any fans of The Fall. It’s a beautifully written book and also a lovely artefact to hold in your hands. And like all the best music books it has had me digging back for previously missed nuggets and re-evaluating some old favourites again and just being amazed at the sheer level of creativity by The Fall over most of my life. 40 Odd Years Of The Fall be purchased directly from https://www.dailyreckless.com/product/40-odd-years-of-the-fall-revised-edition/ for £14.99 plus postage and packaging.